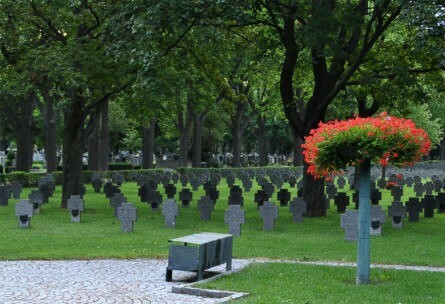 The Vienna German War Cemetery is a part of at the Central Cemetery in Vienna. The entrance closest entrance to this part of the cemetery is almost opposite of the the main entrance. 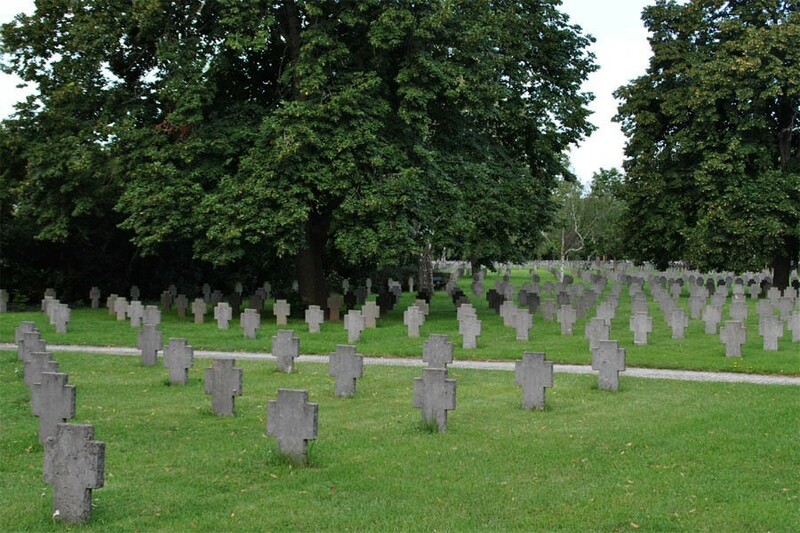 The graves of 7,297 German soldiers can be found at this section of the cemetery. It is thereby the largest war cemetery of the Second World War in Austria. 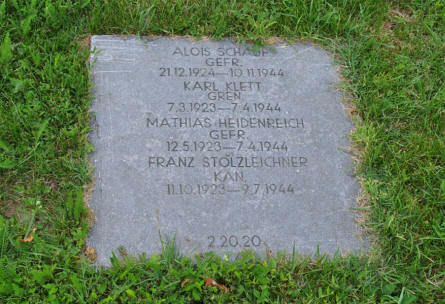 A typical German World War II tombstone at the Vienna German War Cemetery. Both soldiers on this stone died at sometime during April 1945 - during the final battles in Austria. Some of the many German World War II graves at the Vienna German War Cemetery. 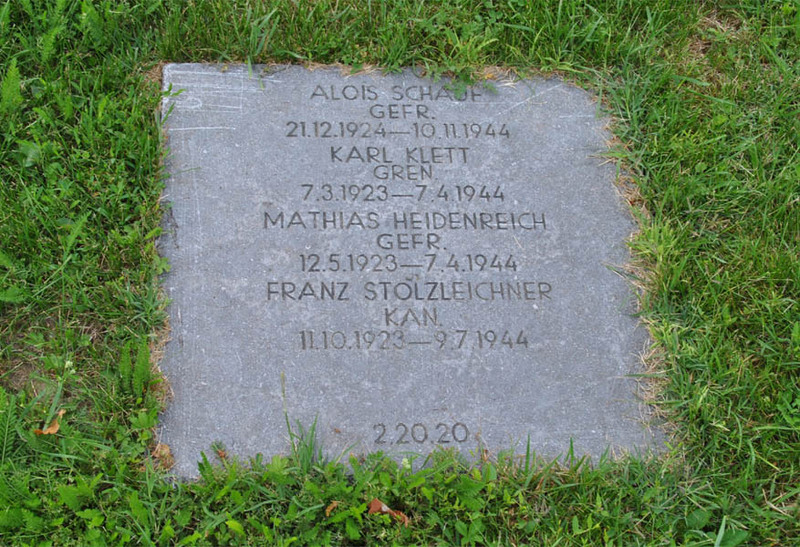 A typical German World War II tombstone - in the grass - at the Vienna German War Cemetery. 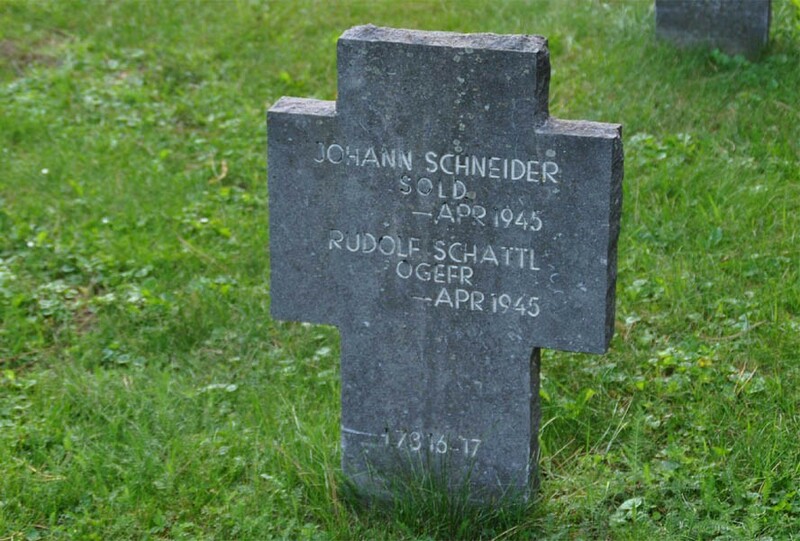 There are 4 names on this stone - and all of these soldiers died during 1944. 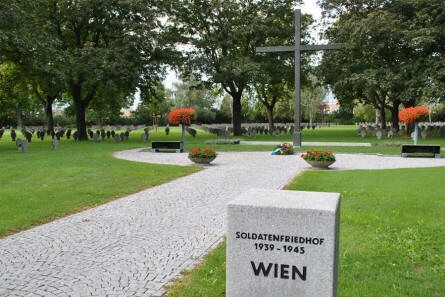 Some of the many German World War II graves at the Vienna German War Cemetery - and the Cross of Sacrifice. 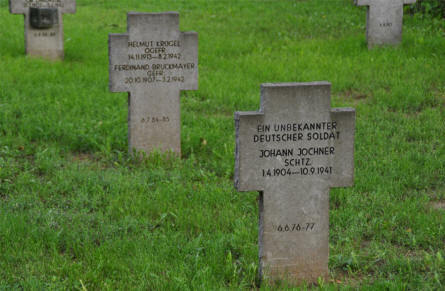 Some typical German World War II tombstones at the Vienna German War Cemetery. On the first stone one of the soldiers is "Unknown" and the rest of these soldiers all died during 1941 and 1942.